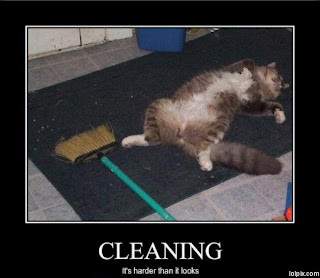 You belong to this category if you almost always see cleaning to be done, even if other people think everything looks immaculate. Worry not. This means this fitness activity is regular (& natural) for you. Remember how fit Courteney Cox’s Friendscharacter Monica was? I am betting that any one close to her obsession with organization and cleanliness, wouldn’t really have the time or the opportunity to gain weight. Well, I confess. I am by nature an unorganized person. I am also a shopaholic so I am constantly adding new clothes to my already stuffed wardrobe. And maybe I could find a way to keep the room in order to some level, but I am also a writer, an avid reader and movie-watcher. So add the novels, writing projects, writing stuff and files and the DVDs, and I am in big trouble. My organizational efforts burn more calories than a session at the gym or hours spent on the dancing floor. My last organizing activity? Yesterday. The result? Burnt calories, and officially establishing the need for new wardrobes, a bigger room and a bigger house. It can be the re-runs of things you already watched and loved make for great help. You get to laugh and get things done at the same time. Yep, it is always great to turn on great, fast tracks while you finish the task. And if you squeeze in the lovely activity dancing, time might fly without you swearing off shopping for new stuff. Do you have suggestions to keep cleaning more fun?